The following books and resources are available from the Eastern Europe Aid Association. We are making available all four of our books in English (Genovieva, Caught with Bibles, When Songs are Forbidden and You Have a Jewish Name!) for a special price of $25.00. This includes shipping and handling in the United States. S&H on all other orders costs $15.00 per set. 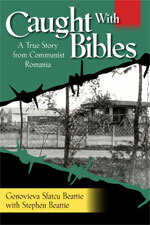 Caught with Bibles is the story of Constantin Sfatcu, a Romanian Christian who was arrested by the communists in 1985 for transporting Bibles in his car. 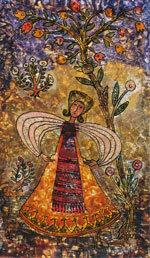 The story is told by his sister, Genovieva, herself an exile to the United States. In her struggles with grief Stephen, a Bible smuggler from England, steps into her life. The Lord used an article in the New York Times, U.S. Congressmen and Members of the British Parliament who attended the trial, and President Ronald Reagan to bring about Constantin’s release in 1986. Adventure, humor, faith, prayer and the incredible fill every page. The book will be an inspiration for children and teenagers. 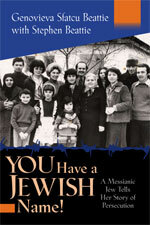 You Have a Jewish Name! 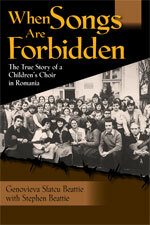 is the story of the author’s life of persecution in communist Romania, on account of her faith in the God in Israel. From her first days at school, her teacher beats her and spits on her, but her father is there to help with his faith and humor. Later, as a student, she is expelled from university because of her “unhealthy origin.” In a daring attempt to help a fellow believer imprisoned in a psychiatric hospital, she ends up in prison there herself. 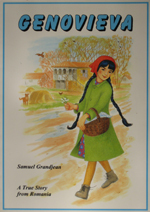 This is a paperback book about the life of Genovieva, as she grew up in Romania and was exiled to America. Each gripping chapter was written in French by Swiss author Grandjean as a serial story in a Christian magazine for children. These articles were very popular. It was natural that he would compile them into a book, which has been translated into English and Romanian. A serious study of the Messiah of Israel as revealed in the stars. A serious study of numerology in the Bible, including a numerical lexicon. A serious study of the names of the Lord. Note Cards are sold as a set of three with envelopes. 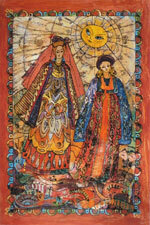 Postcards are sold in a packet of eleven different scenes from Romania.